necessary to JUMPSTART the work . . .
Several crucial first tasks keep the majority of course builders from ever moving out of the dream-up stage. These tasks include: market positioning, course design, branding, and setup of list building tools. 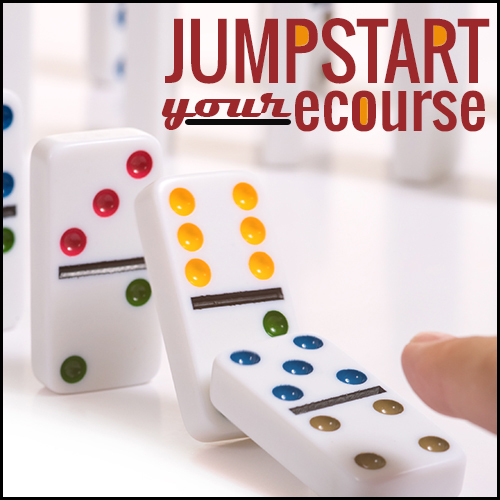 Jumpstart Your eCourse provides a path with detailed how-tos that make it possible to complete this essential work and truly get moving forward with creating and selling your own digital product or online course. 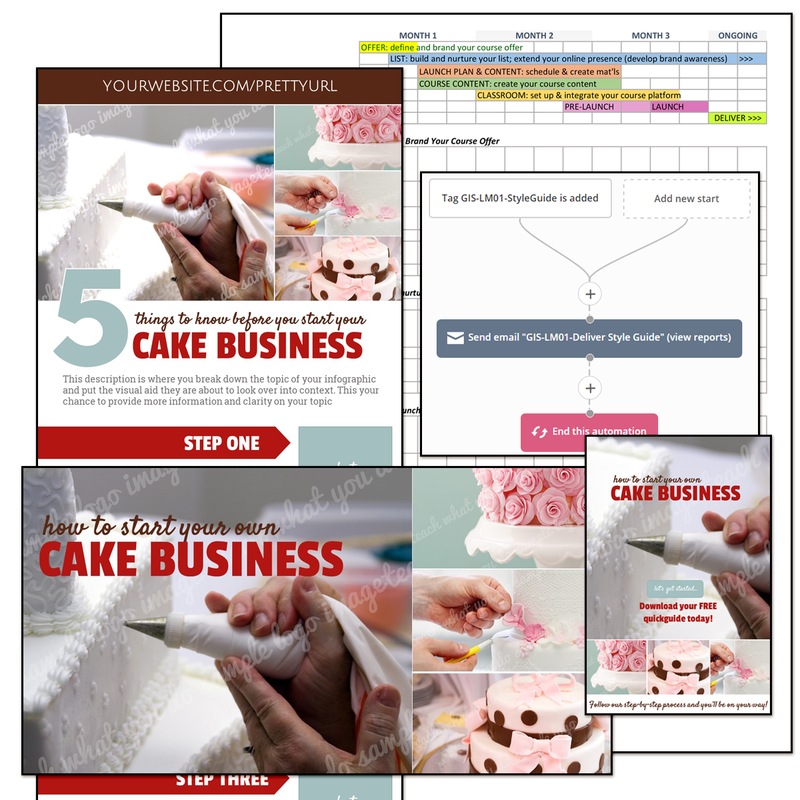 With the step-by-step workbook, templates, and tech tutorials, you should be able to do this work in 21 to 35 hours–that’s 7 blocks of 3 to 5 hours, depending upon the size of your course. 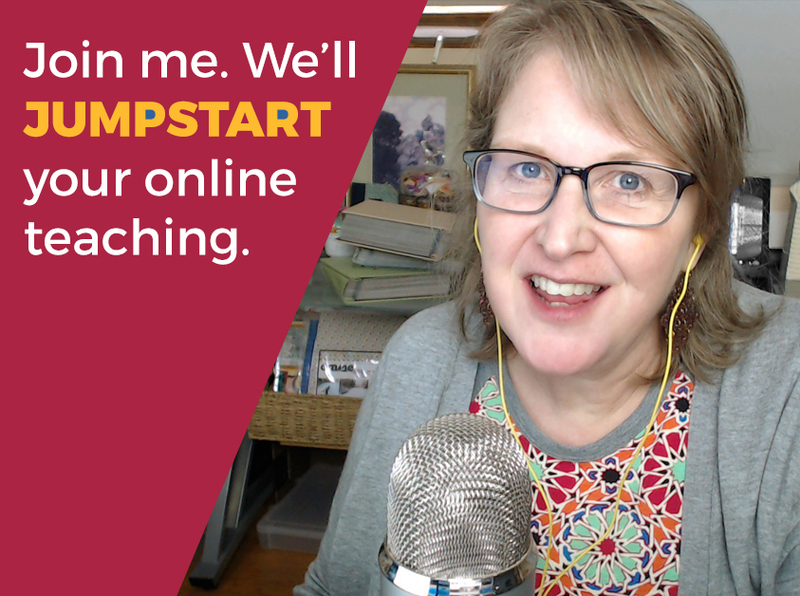 All of the lessons, templates, workbook, and tech tutorials are ready for you immediately. You also get access to a private Facebook community where you get support, questions answers, examples shared and the company of a community of course builders. is a step-by-step guide to this momentum-building first work. Complete the work quickly and well with lessons, templates, swipe files, tech tutorials, and teacher support. A Direct & Efficient Path to Accomplishing Essential Course Building Work. 7 video lessons interwoven with a rich workbook have you brainstorming, researching, making decisions, and moving forward quickly. You will define your course topic, create an outline, make a logo and promotional images, develop your first lead magnet, establish email automation, and build your course creation plan and schedule. 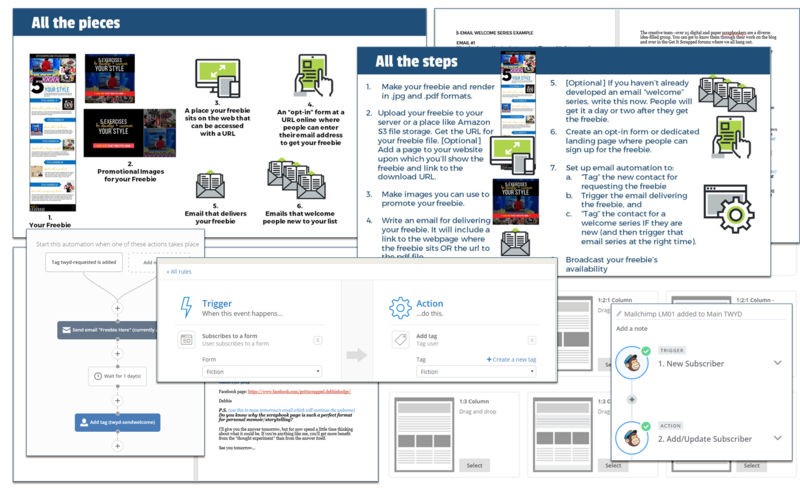 Templates with written and video how-tos enable you to make your own logo, classroom badges, social media images, and an infographic-styled lead magnet–all within the PowerPoint slidemaking software. Each template is in 6 easy-to-modify styles that get you started with recommended Google font pairings and branding colors. 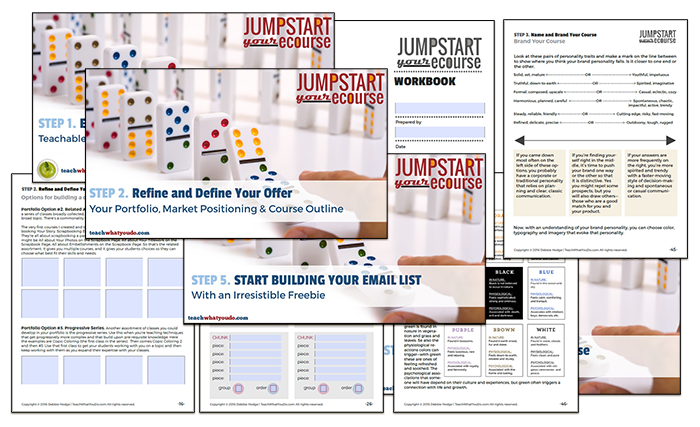 Establish Your List-Building Email Funnel. Email swipe files and step-by-step tech tutorials (with ConvertKit and ActiveCampaign) get you offering and delivering your list-building lead-magnet, welcoming new subscribers, and connecting with prospects immediately. Don’t let this crucial first step hold you back any longer. This work isn’t intuitive and changes with each email service–but with detailed how-tos, you can get this work done. 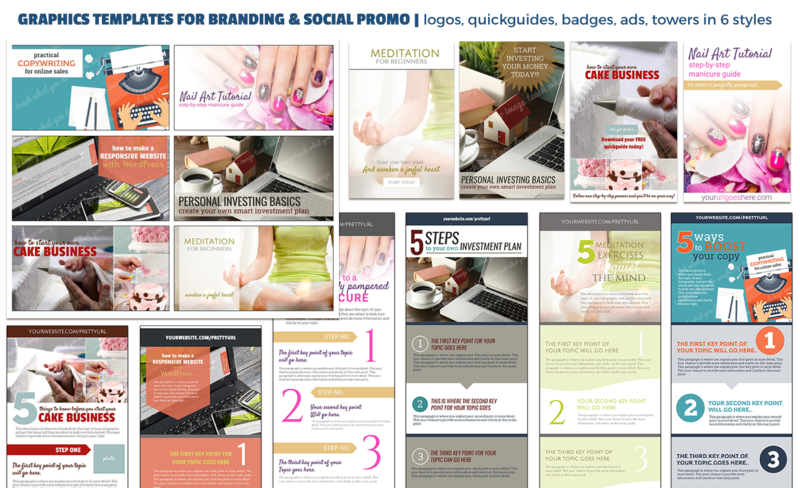 With the step-by-step workbook, templates, and tech tutorials, you should be able to create these things in 21 to 35 hours–that’s 7 blocks of 3 to 5 hours, depending upon the size of your course. 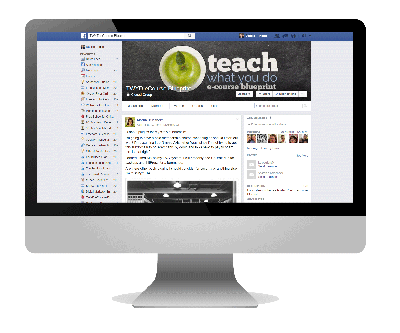 Get support for your work through exclusive membership in the Teach What You Do Facebook Group. A private Facebook group community gives you the opportunity to ask questions and develop relationships with your classmates who are also building their own online classes as they work through Teach What You Do premium classes. I have purchased my share of online courses. I love Debbie’s teaching style and delivery, and, most importantly, she is passionate about teaching. Her own experiences are shared using different platforms, techniques, and everyday language that even a novice can understand. If you are a “do-it-yourself” type and need to know how all the pieces fit together then the Teach What You Do training is for you. Debbie’s course is amazing!!! Really amazing… and I say that as someone who takes tons of courses. It is clear she is an educator in addition to having mastery of the topic. I say that as an educator, myself. Lots of people know their stuff, but being able to translate that into well-designed, useful lessons for people who are not experts is an entirely different skill set. I spent five hours straight today and I have every lesson and all the exercises and even the bonuses for my course outlined. I feel like everything I have learned and known for years just flew out of me and onto the pages. The workbook pages were awesome and easy to use. This work made me believe not only I can do this, but I was born to do this! It will be a lot to work to write it all up, but I think I have a great plan to follow. I just wanted to say thank you! 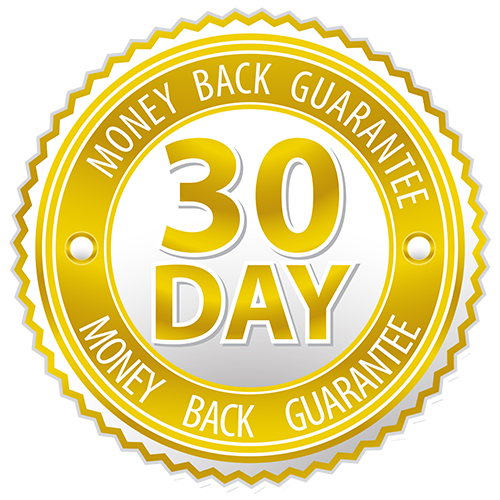 If you find the class doesn’t give you value, contact me within 30 days of your purchase to share your completed workbook and results, and I will give you a full refund.